Why not take direct action now? These simple 4 inch by 3 inch glossy leaflets fit neatly in a trouser or coat pocket. 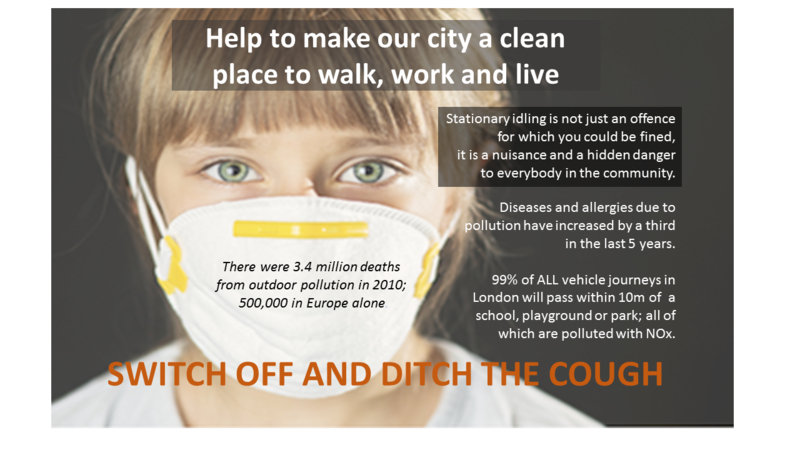 As you walk or live around London, you might come across drivers who are leaving their engine running. Be prepared and give them one of these. It’s a great campaign in which every resident and pedestrian can take action. I represent a local community initiative on air pollution. Could I give you some information? Then simply walk away. Do NOT engage in trying to persuade the driver. Keep smiling and do not appear angry. I know some of us are passionate about the problem but it is always best to leave emotion out of the situation. The leaflet does the rest. 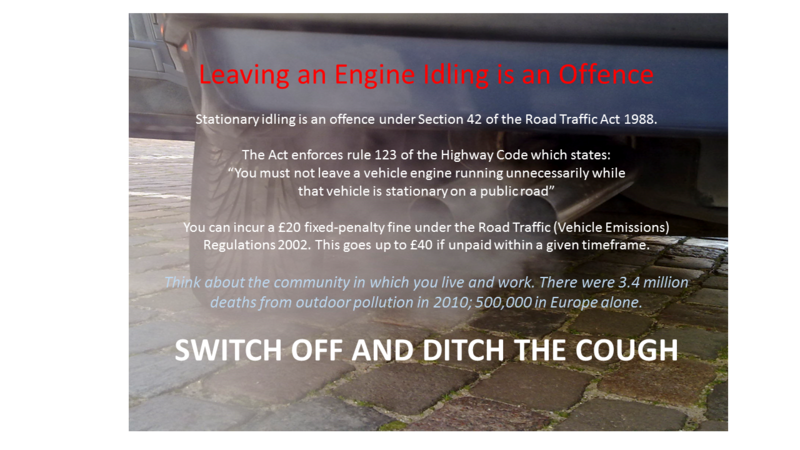 If the driver does not switch off their engine: then the leaflet will make them think. It will have made an impression. 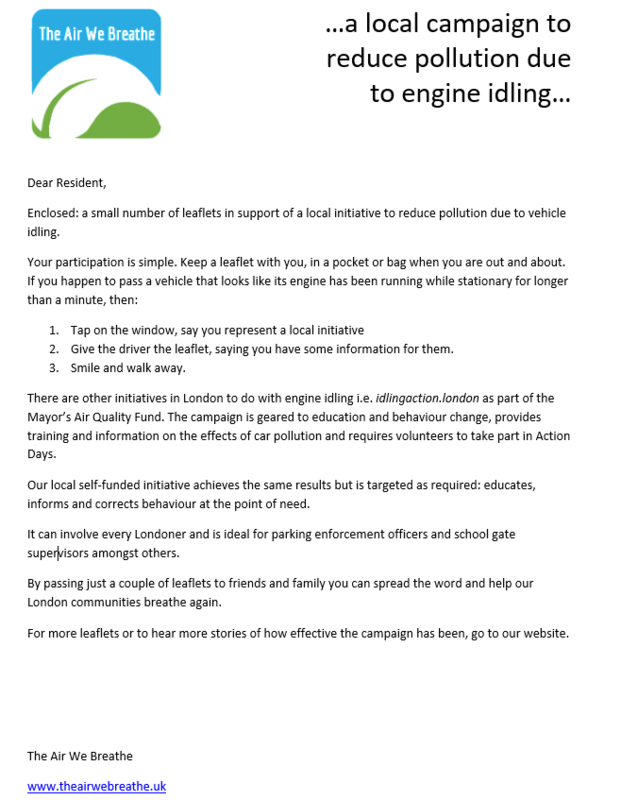 Vehicle Idling Action is a London-wide, education and behaviour change campaign funded by the Mayor of London’s Air Quality Fund. Focused on vehicle engine idling, it aims to reduce localised air pollution caused by motorists who are stationary or parked, but who continue to have their engines running for over a minute. If you would like a copy of the invitation letter you can download it from here.